Santa Monica, Calif. (May 10, 2018) — In a record breaking year, tourism continued to be instrumental to Santa Monica’s vibrancy in 2017, with visitor spending in the destination reaching $1.96 billion, representing a 5.1% increase. This figure and more were unveiled by Santa Monica Travel & Tourism (SMTT) at its 9th annual Travel & Tourism Summit, held May 9 at the Jonathan Beach Club. The Summit, attended by more than 300 members of the community, highlighted the organization’s most current figures on the economic impact of tourism to the city, provided updates on SMTT’s strategic sales and marketing initiatives, and included discussions from leaders in local government, destination marketing, and research. SMTT’s 2017 Tourism Economic and Fiscal Impact summary report highlighted sustained growth in a local travel industry that drives the city’s economy with its visitor spending, job creation and tax revenue generated. Conducted annually to track the economic impact of tourism for the destination, the report underscored that tourism spending injected $1.96 billion into Santa Monica’s local economy, with more than $54 million going directly into the City’s general fund from the Transient Occupancy Tax (TOT). The contribution of the TOT to the City’s general fund, supported entirely by overnight hotel guests, play a vital role in funding essential city services such as the exceptional police and fire departments, school systems, homeless services as well as the maintenance of the parks and beaches that make the beachside city a world-class place to live, work and play. Were it not for the TOT, each Santa Monica household would have to pay an estimated additional $1,379 in taxes to maintain the current level of city services. The report also noted the 13,345 tourism-supported jobs that cannot be exported outside of Santa Monica, and that the occupancy levels and average daily rates of Santa Monica hotels remain some of the strongest in the region. 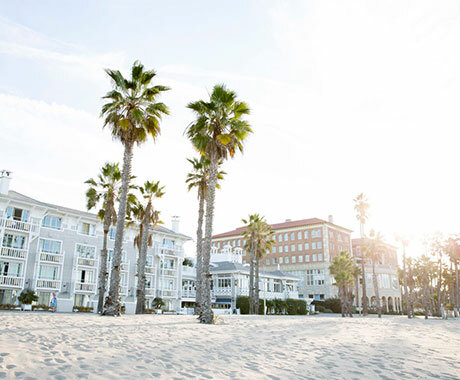 During the event, Visit California President/CEO Caroline Beteta confirmed that the growth within Santa Monica’s tourism industry and its impact on the local economy is reflective of the state-wide travel industry, pacing ahead of other states. California’s robust tourism economy expanded in 2017, fueling more than $132 million in travel spending, $10.9 billion in tax revenue and 1.1 million jobs in communities across the Golden State. Additional speeches celebrated the vitality of Santa Monica with speakers including Ted Winterer, Santa Monica Mayor, and Rick Cole, Santa Monica City Manager. 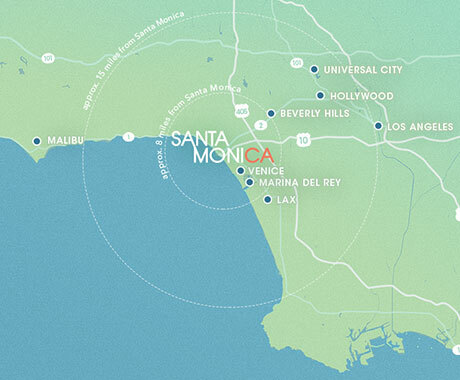 Panel discussions at the Summit ranged from macro to micro, including an analysis of visitors to both Santa Monica and Los Angeles as well as the outlook for travelers to California and the United States. Panelists included Erin Francis-Cummings, President/CEO of Destination Analysists, Dan Mishell, owner of Dan Mishell Consulting, Wendy Kheel, Vice President, Tourism Insights at Los Angeles Tourism & Convention Board and Lauren Schlau, President/Founder of Lauren Schlau Consulting. Fernando Ceron from Loews Santa Monica Beach Hotel was awarded the Thelma Parks Tourism Spirit Award during the Summit for his exceptional service in the hospitality industry. Ceron was awarded a $1,000 scholarship and a Santa Monica staycation, provided by the Santa Monica Chamber of Commerce and SMTT. To learn more about the Thelma Parks Tourism Spirit Award and to submit nominations, visit www.santamonica.com/spiritaward. Heal the Bay and the Santa Monica Pier Aquarium received SMTT’s newly renamed Jeff King Santa Monica Tourism Champion of the Year award. The organizations were recognized for their dedication to making the coastal watersheds of Greater Los Angeles safe, healthy and clean for the past 33 years. Heal the Bay has pushed the envelope of sustainability with an impressive list of environmental victories and the Santa Monica Pier Aquarium places education at its forefront, having welcomed more than one million visitors. Raphael Lunetta, the outgoing Chair of the SMTT Board of Directors and Chef/Restauranteur of two popular neighborhood restaurants, Lunetta and Lunetta All Day was recognized for his steadfast leadership and for helping to share the soul of Santa Monica around the world. SMTT works to drive balanced demand to the destination through strategic marketing and sales initiatives. SMTT is represented by offices overseas in the key feeder markets of Australia/New Zealand, Brazil, France, Germany and the United Kingdom/Ireland, and most recently India. A targeted digital approach will continue in China.